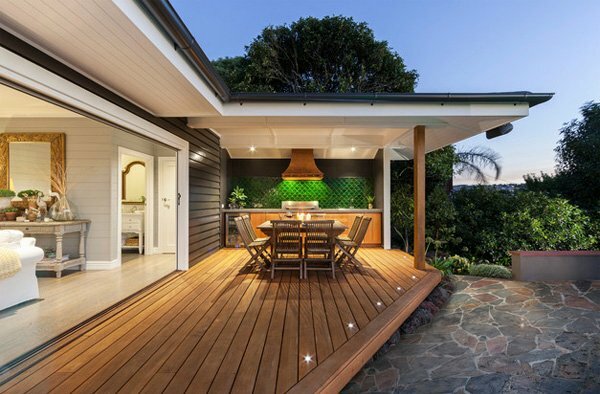 A deck is an unroofed extension of a house that is great place to enjoy and relax, looking about the outdoors. Whether we enjoy this relaxation time on a deck with our family and friends in daytime or nighttime, the place should be well-lighted. 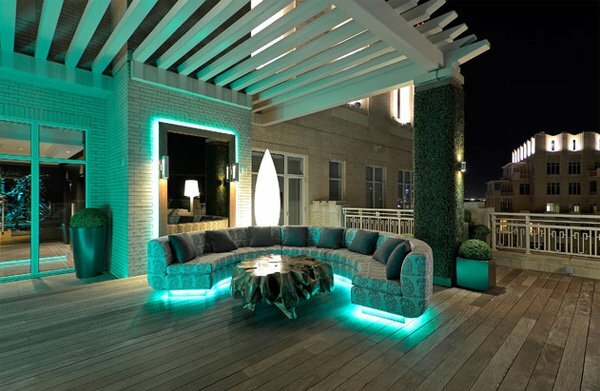 Having a lighting in the deck can have some advantage to us, not only it can be a place for relaxation but also a place for parties and gatherings. 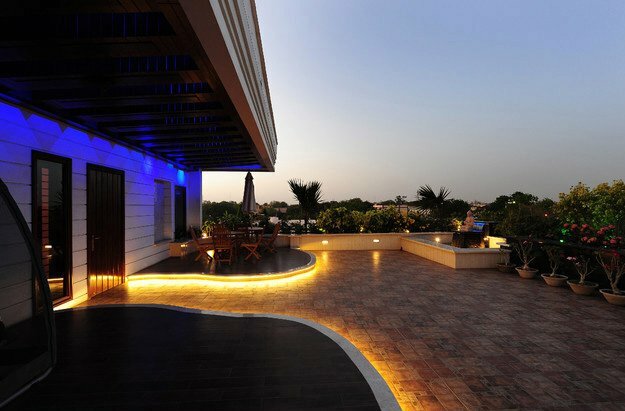 So, by having lights on a deck, it must suit virtually to the place to make it more beautiful and cozy. 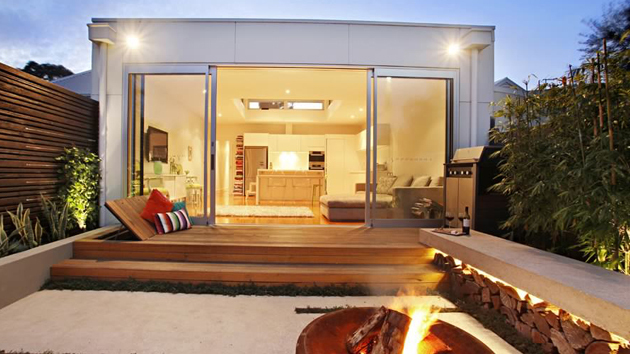 There are various ways a deck will be lighted, and most of the time it is up to the desired style of the area. 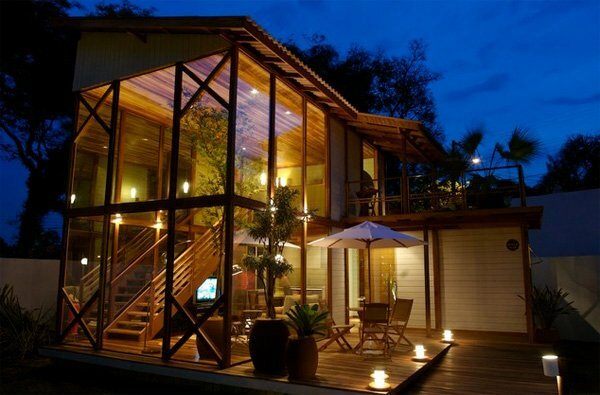 For today, we will give you some various ideas on how you can beautify your deck during nighttime. Though some of it is simple ideas, the place can still look beautiful and elegant. 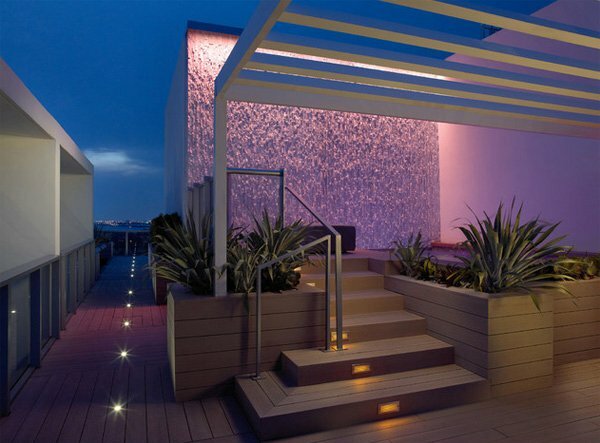 We present you these ideas on illuminating and styling of deck areas! Scroll down and see for yourself. The deck lighting on this one is very simple. They have up lights by the exit from the house to the deck, and down lights by the railings of the porch. This deck has inset lights and up lights. Look at this one, the deck looks absolutely bright. Lights on a deck area can also be placed on stares. 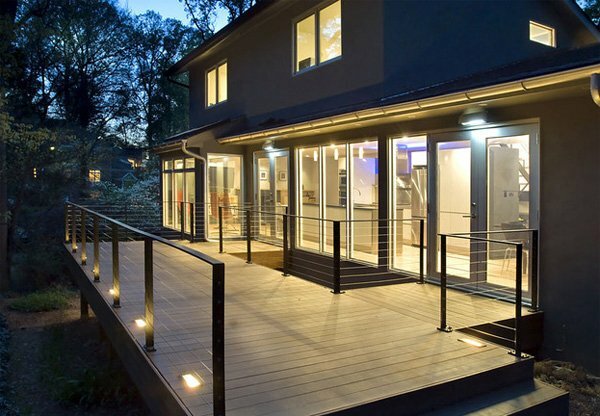 Inset deck lights, on this home, were placed instead on the stairs. This one had creatively put a light beneath the sofa. Overall, the lights made the deck area cozy. This deck area has strip lights placed under the floorboards. Spotlights are also utilized and placed by the plants to further illuminate and showcase the beauty of the area. Pod deck lights are mainly used on this deck. The place looks simple but great. 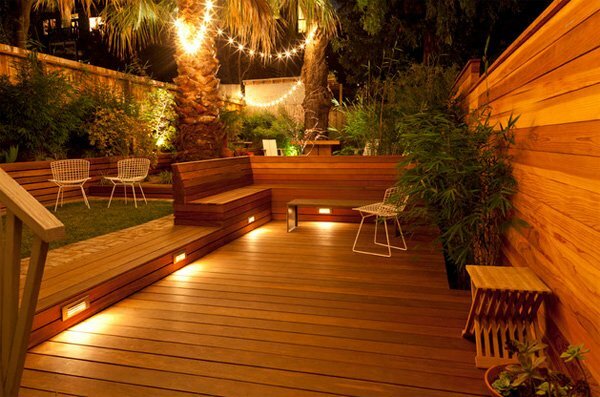 This deck has used inset deck lights but the addition of the series lights behind makes the whole place look elegant. 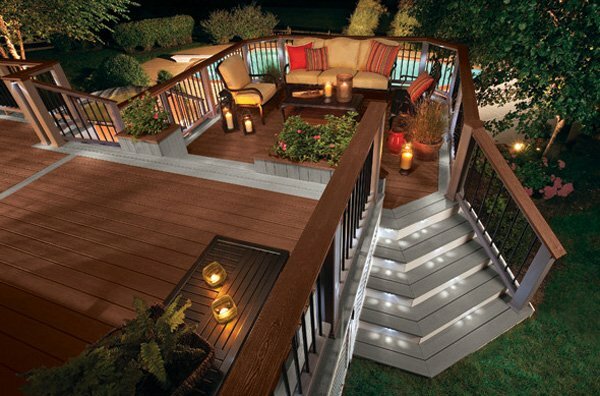 The combination of strip lights and inset deck lights makes this deck area look wonderful with dimness they create. 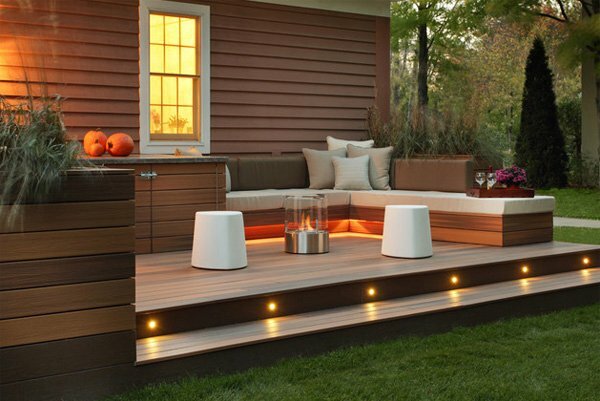 The different types of deck lights used in this area gives off a warm feeling especially due to the red and orange lights emitted. 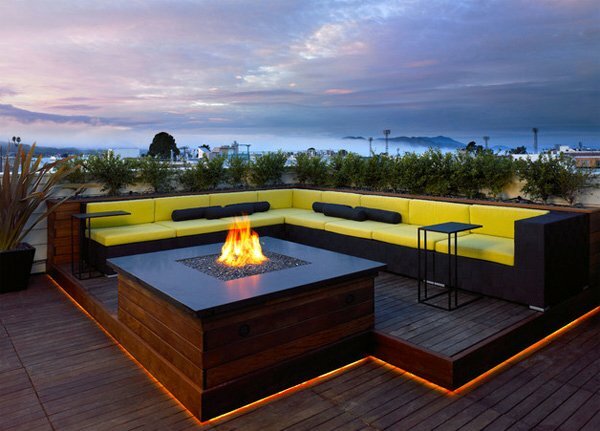 This deck has the lighting beneath the cozy sofa. Although it may seem a bit of dusk, the flame further creates a rather snug environment. 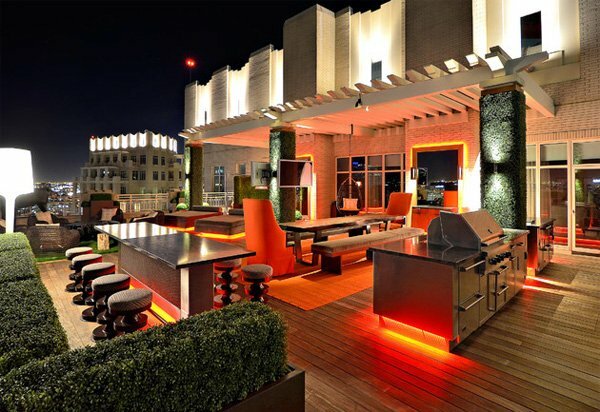 The deck lighting on this place is enough to illuminate the area. The candlelight adds a somewhat romantic feel to the place. The pod deck lights are perfectly used in this place. The illumination just makes the vicinity a great place to relax. The post deck lights illuminate the deck well. It’s not too bright but not too dull. The spotlights and inset lights makes this place look beautiful. They highlight the beautiful features on this area. A blue light is illuminated in the deck lighting of this place. It certainly gives off a cool atmosphere. 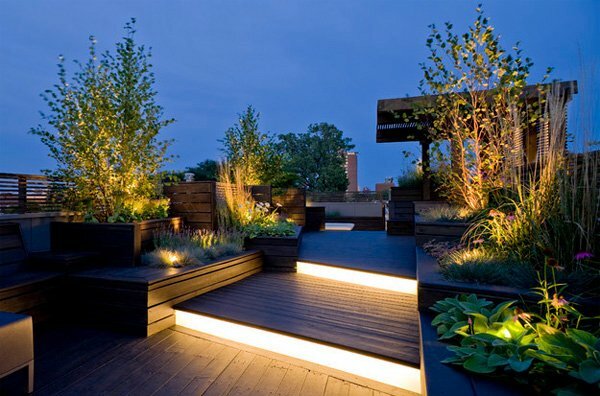 The inset deck lights in this deck are not only use for adornment but are utilized to direct the path unobtrusively. There you have it! 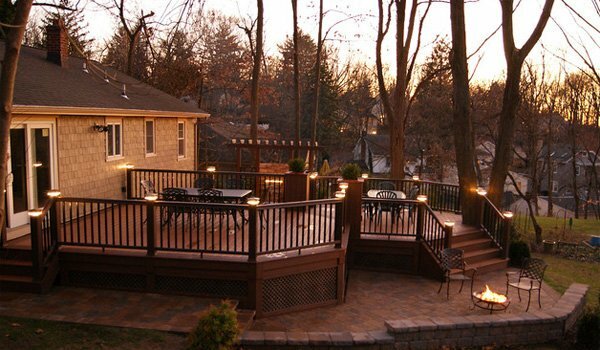 Did these different deck lightings inspire you of your design of your own deck? We hope it did. 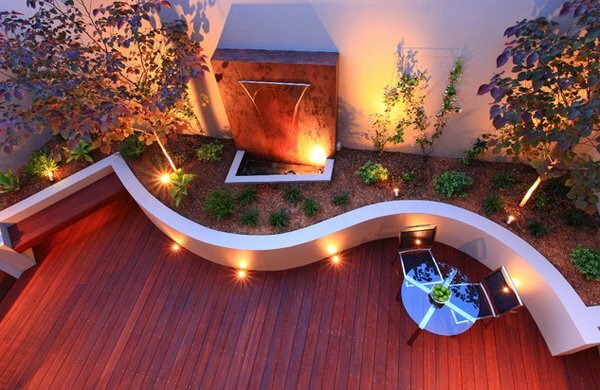 But you can take a look at other lighting ideas including those for the landscaping. This will no doubt light up your entire outdoor space! 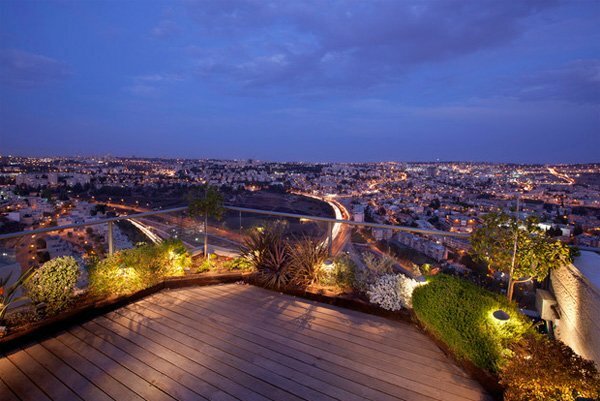 So, check out our round up of dramatic landscape lighting.